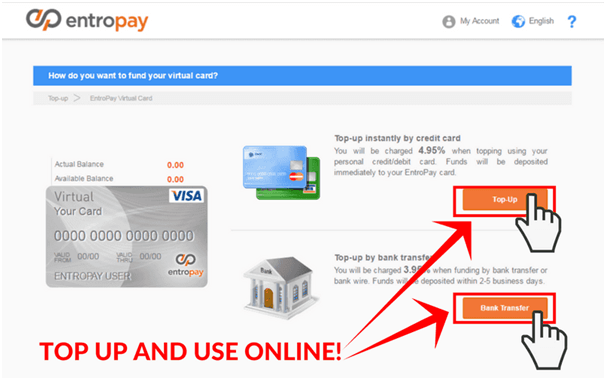 What is Entropay and how does it work when banking with online casinos in UK? Best UK Casinos > Payment Methods > Entropay > What is Entropay and how does it work when banking with online casinos in UK? Entropay is one of the common banking modes available at online casinos in UK to play real money slots and casino games. EntroPay is a prepaid virtual card that has the functionalities of a VISA card. It is one of the convenient methods as once an account is created and verified, a player can make transactions in a matter of minutes. Also it is one of the safest and most convenient methods for making deposits and withdrawals with confident and is immediately processed in minutes of time. 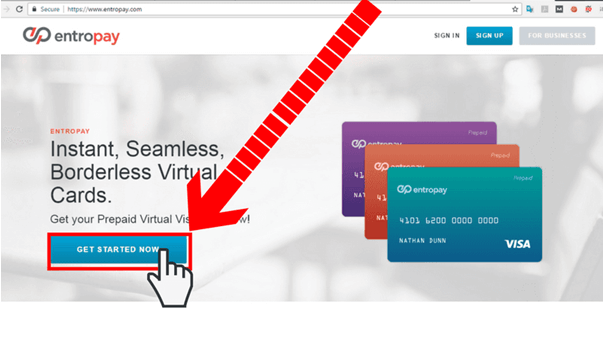 How to get Entropay card to use it at online casinos? As said above Entropay card is like a Visa card but with a bit difference that it is not a credit card but a prepaid debit card so the only money you can spend here is the money that you have decided to load on the EntroPay account earlier. That makes it especially popular among casino players since it helps them to better control their casino spending. Opening an EntroPay account is easy and free. All you need to do is go the EntroPay website, fill in the registration form and your account will be open. The only time you need to pay is when you’re loading your card with cash. To do that you can use your normal debit or credit card as well as bank transfer and a few other payment methods. Once your registration process is over, you will receive the Virtual credit card number, expiry date and CVV 3-digit code. At many reputed online casinos, you will be able to choose the EntroPay option from the deposit methods and make your deposit using the credit card details in the same way as it is for the usual credit/debit cards. As it is reloadable and you choose how much and how often to top up your EntroPay account. In addition, you can easily make transfers if you have more than one EntroPay cards. The transfer is a subject to a certain fee, though. Your EntroPay card can be used wherever you see the VISA logo, no matter if you want to transfer funds to your online casino account. You have 24/7 access to your money and you can easily fund your EntroPay account. 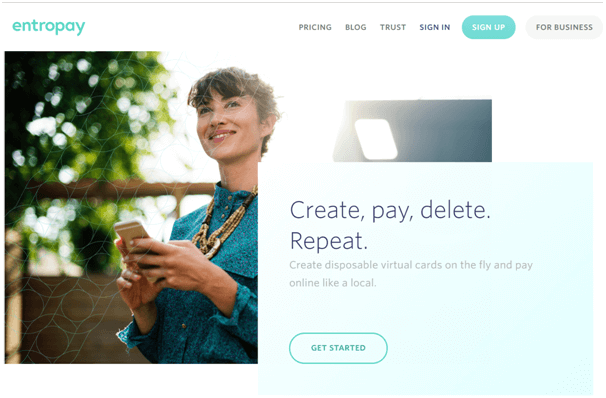 You are not required to make a deposit, pay interest or annual fee in order to use EntroPay, which makes it a profitable long-term investment. EntroPay as a prepaid virtual card means that depositing funds to your online casino account is completed in a few minutes. You are enabled to keep track of your spendings. You can spend as much money as you have deposited into your card. You don’t have to wait for a paper check in order to cash out your winnings. You can withdraw the amount directly to your virtual VISA card. If you wish, you can obtain the actual physical EntroPay plastic card to use it in the stores or ATM or just use the virtual card, if you wish. The choice is yours. EntroPay Virtual Visa has a handy Digital Currency Converter, which can be used to convert between 14 different currencies. The Entropay system is trustworthy and secure, not only it has been around for a while but it also uses the 128 bits encryption technology, so you don’t need to worry about the safety of your transactions. First of all, you will be prompted to select a username and password. Your date of birth will also be required. Once you fill the required fields, you will be allowed to proceed and then, you have to enter your bank information as well as the currency in which you want to have your EntroPay card topped up. 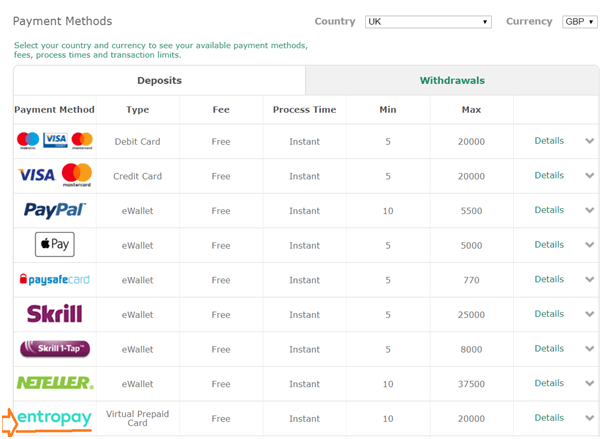 You can choose a denomination in the range between $/ €/ £ 5 and 300 depending on the currency you have chosen. You have two options when it comes to funding your EntroPay card. You can opt for instant deposit of funds directly from your credit card or you settle for a bank transfer. The latter takes some more time but it is also the less expensive alternative. Once you fund your card, you can start making it use for funding online casino account. You can link as many as 5 debit/ credit cards to your EntroPay account if you have a Starter account. In case you opt for a Premier account, you will be able to link up to 10 cards. In addition, you will be eligible for more benefits and conveniences. Both types of account allow you to keep track of your payment history. When you enter the casino cashier online, select the Entropay mode of payment and enter the amount you wish to deposit with this card and make deposits online instantly. You can use your EntroPay card for withdrawing your winnings from the online casino you have an account with. For withdrawals, normal processing times by online casinos range from three to 10 days. The procedure is not complicated and it saves you a lot of time and efforts. In order to withdraw your winnings, you have to select EntroPay and the funds will be transferred to your account. You can keep the money playing more real games but you can also transfer the amount to your bank account and save money. Click here for Entropay best UK casinos to play slots and live dealer games.